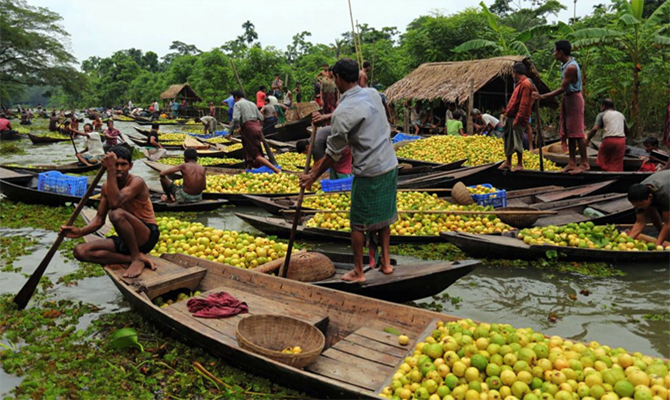 For many, a cruise through the Sundarbans will be a highlight of their trip to Bangladesh. This UNESCO protected area is the world’s largest mangrove forest covering around 10,000 sq km, divided 60/40 between Bangladesh and India. It’s a huge network of interconnecting waterways that stretches inland for about 80km and starts about 5km south-west of Mongla. The largest single population of tigers in the world can be found here, there are around 400 Royal Bengal tigers in the Sundarbans. Other wildlife includes spotted deer, wild boar, clawless otters, crocodiles and river dolphins. But it is exploring the unique environment that is the main attraction. This is normally done on a two night cruise with expeditions through the narrow waterways by smaller country boat. The best time to visit the Sundarbans is during the dry season from November to April. 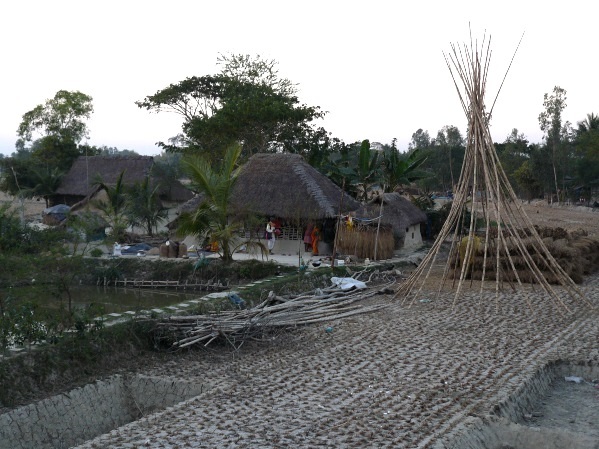 Take a village walk to interact with the locals and experience their unique way of life. Where the holy Ganges river finally meets the Bay of Bengal. 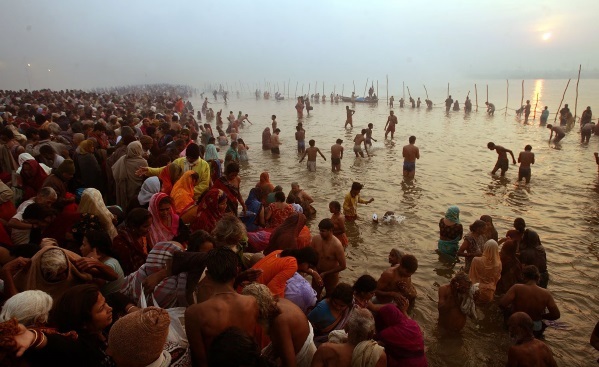 Millions of pilgrims gather here for the annual Ganga Sagar Mela during Makar Sankranti every year in January. 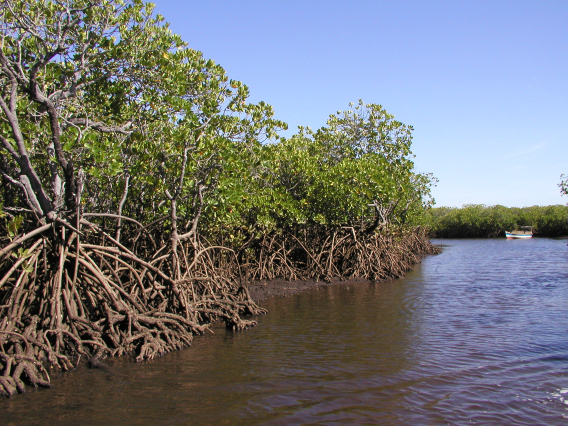 The largest tidal mangrove forest in the world, criss-crossed with numerous scenic waterways and home to an abundance of wildlife. 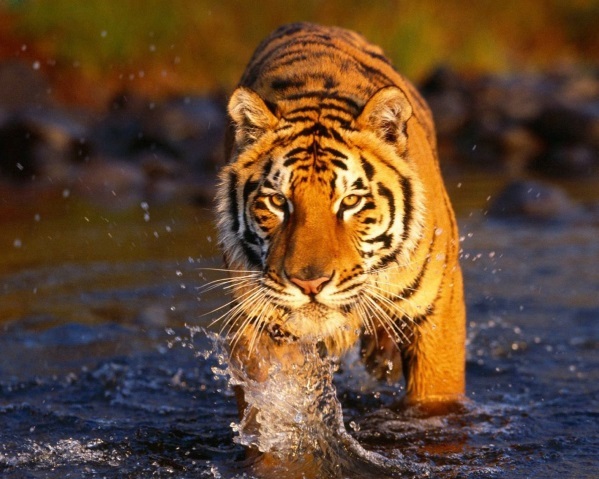 Around 400 Royal Bengal Tigers can be found in the Sundarbans. They have adapted extremely well to the environment and have become proficient swimmers.